A storage site housing half of Baghdad's ballot boxes from the country's general election caught fire on Sunday. Last month's legislative elections were won by an alliance headed by Shia Muslim cleric Moqtada Sadr. Amid allegations of fraud, the outgoing parliament ordered a recount of about 10 million votes. 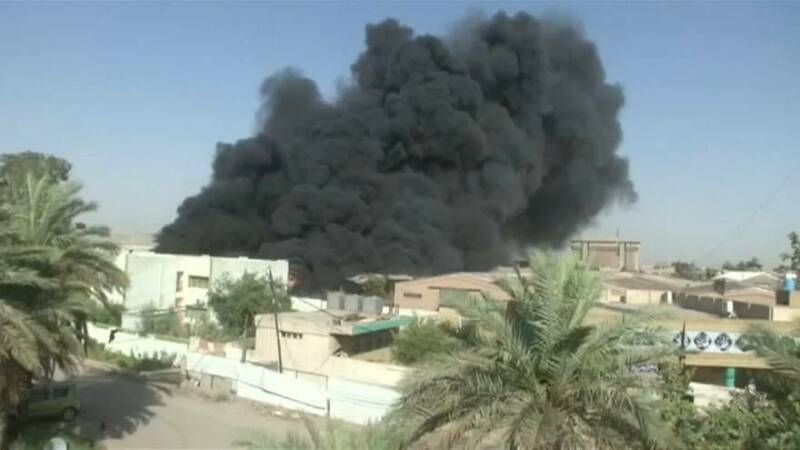 Prime Minister Haider al- Abdadi has described the fire as a "plot" aimed at Iraq's democracy. Officials votes from one district were being held at the facility and some ballot boxes may have been burned but most were safe.